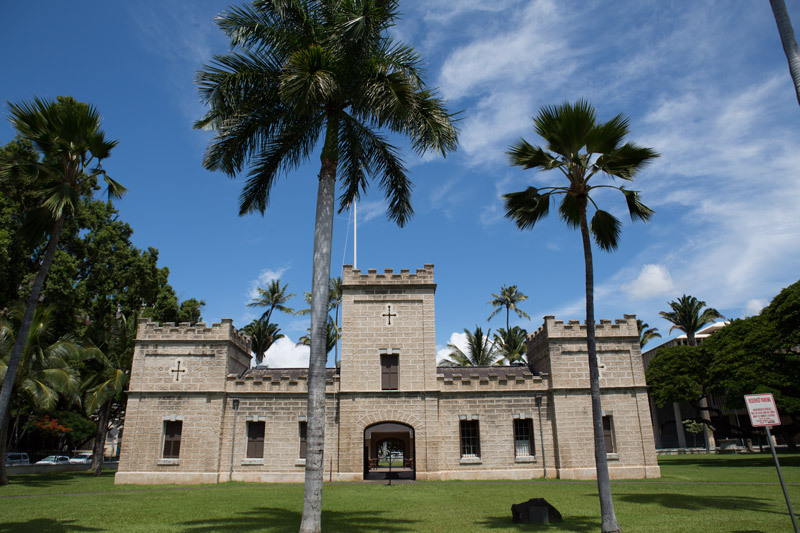 Halekoa, also known as Iolani Barracks, was originally completed in 1871 and designed by architect Theodore Heuck to house the Royal Guard. 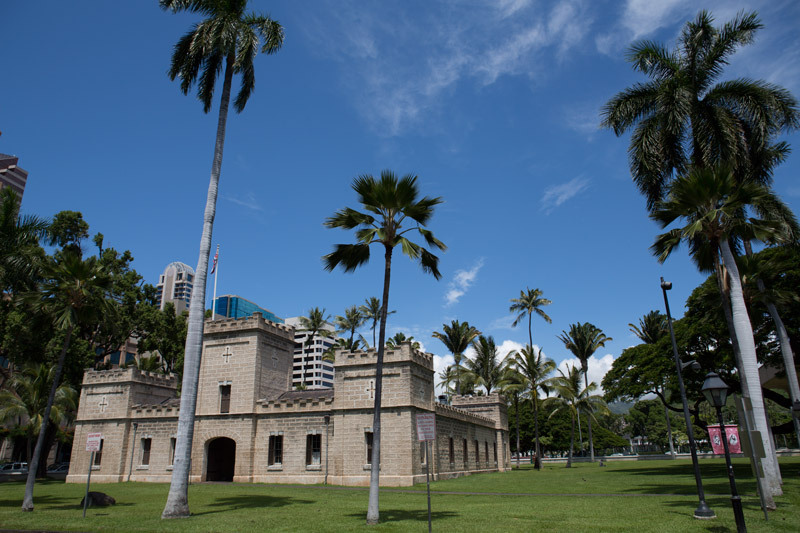 Its coral block structure contains an open courtyard surrounded by rooms once used by the guards as a mess hall, kitchen, dispensary, berth room, and lockup. Following the overthrow of the Hawaiian monarchy and the disbanding of the Royal Guard, Iolani Barracks was used at different times as headquarters for the National Guard of Hawaii, temporary shelter for refugees of the 1899 Chinatown fire, a service club, a government office building, and a storage facility. 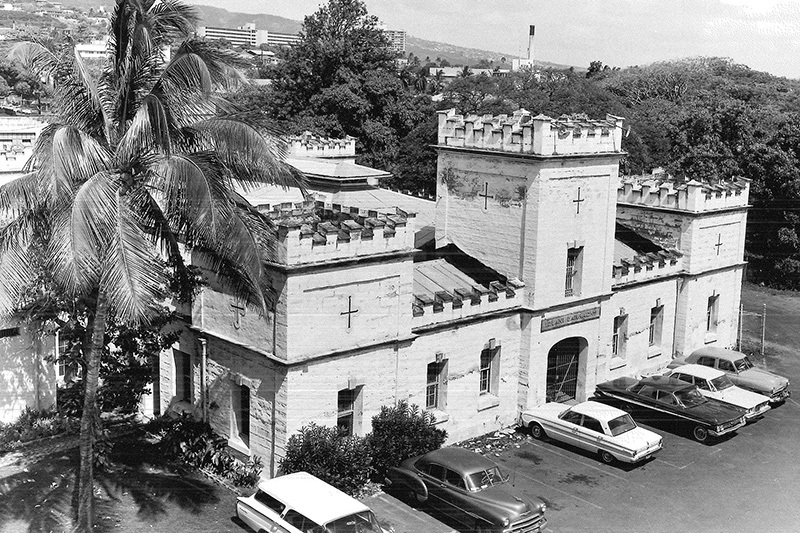 Originally located on what are now the grounds of the Hawaii State Capitol, the barracks were dismantled and reconstructed at its present location in 1965. Halekoa now houses The Palace Shop, ticket office and video theatre.